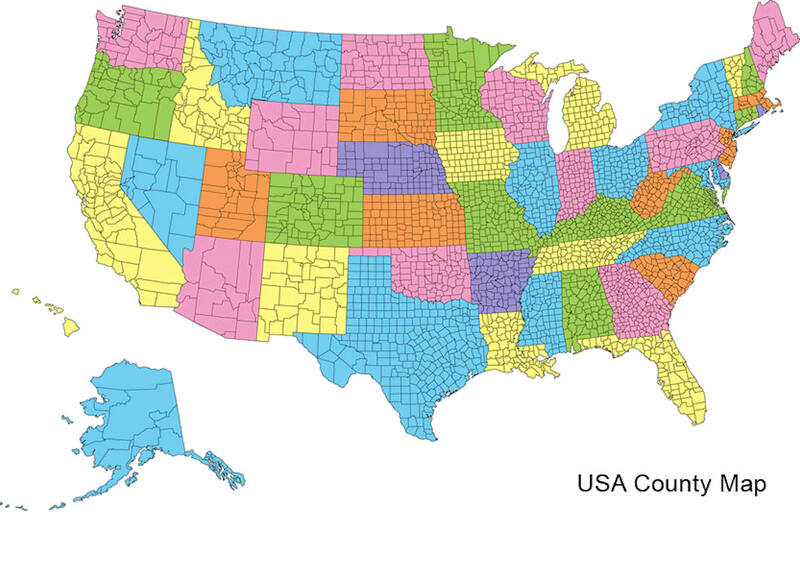 There are twenty-nine counties in the State of Utah. There were originally seven counties established under the provisional State of Deseret in 1849: Davis, Iron, Sanpete, Salt Lake, Tooele, Utah, and Weber. The Territory of Utah was created in 1851 with the first territorial legislature meeting from 1851-1852. The first legislature re-created the original counties from the State of Deseret under territorial law as well as establishing three additional counties: Juab, Millard, and Washington. 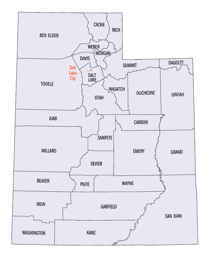 All other counties were established between 1854 and 1894 by the Utah Territorial Legislature under territorial law except for the last two counties formed, Daggett and Duchesne. Summit County is a county located in the state of Utah, occupying a rugged and mountainous area. Based on the 2010 census, the population was 36,324. 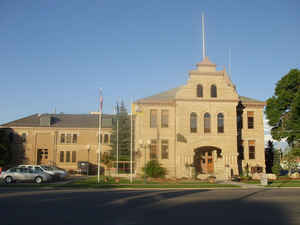 Its county seat is Coalville, and the largest city is Park City. The county was created in 1854 and later organized in 1861. 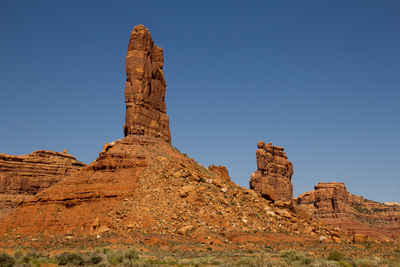 It is so named because it includes 39 of the highest mountain peaks in Utah. The county's mean elevation is 8,388 feet (2,557 m) above sea level, which is the second-highest of any county outside Colorado. Owing to its proximity to Salt Lake City, Park City has acquired a reputation as an upscale getaway, bringing new development to the area. Summit County comprises the Summit Park, UT Micropolitan Statistical Area, which is also included in the Salt Lake City-Provo-Orem, UT Combined Statistical Area. Summit County was created in 1854 from existing Green River and Great Salt Lake counties, and Coalville was chosen as the county seat. The Uinta Mountains dominate the eastern portion of the county, and the western section is a high back valley of the Wasatch Mountains. The first white men to visit the area were fur trappers and traders of the 1820s and 1830s. Until the arrival of the Mormons in 1847 Summit County was hunting grounds for Northern Shoshone Indians. The Weber and Provo rivers, draining the western slope of the Uintas, provided them with fish.In 1846 Lansford W. Hastings, a California promoter, announced a new cutoff on the California Trail that eliminated hundreds of miles and days of travel. The cutoff turned southwest from Fort Bridger, Wyoming, and entered Utah and the northeastern corner of Summit County through Echo Canyon. It followed the Weber River to Salt Lake Valley, went around the south shore of the Great Salt Lake, and then west into Nevada. The first group to take this new cutoff was the Donner-Reed party in 1846. Blazing a road through the Wasatch Mountains cost them many days, and when they reached the Sierra they ran into early snow. Many lost their lives. A year later the Mormons adopted part of the Hastings Cutoff, but when they reached the Weber River they turned southwest to Emigration Canyon. This became the main trail for the immigration of the Mormons to Utah. In 1869 the Union Pacific Railroad, builder of the eastern portion of the transcontinental railroad, followed a portion of the Hastings Cutoff, and today part of Interstate 80 follows the Hastings and Mormon trails and the UPRR route through northern Summit County. The first settlers in Summit County arrived at Parley's Park in 1850. Wanship was settled in 1854, followed by Coalville, Hoytsville and Henefer in 1859. When coal was discovered near Coalville, the Mormons established a settlement there. During the 1860s wagons hauled tons of coal from Coalville to the Salt Lake Valley settlements. In 1873 the Utah Eastern Railroad built a line from Echo Junction to Coalville to haul coal. Eventually this line became part of the Union Pacific Railroad. The discovery of silver, lead, and zinc in the Wasatch Mountains in the l870s soon overshadowed the settlement and economic activities of the rest of the county. Park City, a mining town founded in 1872, continued to expand into the 20th century. Many individuals made fortunes from the Park City mines. Mansions on South Temple in Salt Lake City reflect some of this wealth. Mining continued until the l950s when it no longer was profitable. For several decades Park City was on the verge of becoming a ghost town, but the area's rugged terrain and deep snow led to its rebirth as a winter sports center. Today skiing is a major economic activity in western Summit County while the rest of the county is still noted for its farming and ranching. Other recreational opportunities including boating, fishing and tourism, add to the county's diversified economy. *Sources: Beehive History 14: Utah Counties. 1988. Utah State Historical Society, 300 Rio Grande, Salt Lake City, UT 84101-1182. As reported by the Census Bureau, the county has a total area of 1,882 square miles (4,874 km2), of which, 1,871 square miles (4,846 km2) of it is land and 11 square miles (28 km2) of it (0.58%) is water.